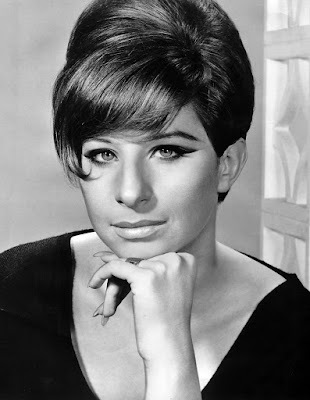 You'll have to get to the end of this blog post to see what film star and singer Barbara Streisand has to do with any of this. Yeah, you read that headline right. And if you didn't know that, well, I didn't know that either. But it's true. Here are a couple of bits from an interview of Mike Masnick, the well-known technology journalist and founder of Techdirt. If you don't know him, Masnick is a well-informed and influential writer who is, from my point of view, on the "right" side of technology and civil liberties issues about 99 percent of the time. I read him all the time, but had no idea he was a RAW reader until I read an interview with him at Mimesis Law (a web site that covers the legal industry), a long piece that Jesse Walker at Reason magazine ran across and kindly pointed out to me. And, of course, the other amazing thing was once I got to Cornell, I got on the internet for the first time in the fall of 1993, and got sucked in immediately. I spent an awful lot of time exploring IRC and Usenet — including falling in with a crazy group of folks on Usenet who were all fans of the Illuminatus Trilogy (it all comes around! ), including a bunch of folks who went to the University of Illinois at Urbana Champaign, and they started telling me about this neat thing they were working on called “Mosaic” which was the very first graphical browser software for this new concept known as “the World Wide Web.” So, one night, I dialed in with my 2400 baud modem and downloaded Mosaic overnight while I slept. And, from there I was hooked on the whole concept of the internet and how powerful it might be. It took awhile, but I read the whole article, because it was interesting and I'm a Masnick fan. There's quite a bit about not being trapped in any particular political reality tunnel, although admittedly Mr. Masnick does not use that exact terminology. Incidentally, I related to anecdote about being handed a copy of the first issue of "Wired" magazine. And then, just as I was graduating high school, the very first issue of Wired Magazine was published. I still remember my friend Ari handing me the first copy in the parking lot of our high school, telling me that it was “the new thing” after Mondo (yeah, rather than drugs in the parking lot I was getting tech magazines — make of that what you will), and I quickly got a subscription and would devour the magazine cover to cover every month. Mike Masnick, FYI, also came up with the concept of the Streisand effect. Saya IBU SALMAH ingin berbagi cerita kepada anda semua bahwa saya yg dulunya cuma seorang TKI di ARAB SAUDI jadi pembantu rumah tangga yg gajinya tidak mencukupi keluarga dikampun,jadi TKI itu sangat menderita dan disuatu hari saya duduk2 buka internet dan tidak disengaja saya melihat komentar orang tentan AKI SOLEH dan katanya bisa membantu orang untuk memberikan nomor yg betul betul tembus dan kebetulan juga saya sering pasan nomor di ARAB SAUD,akhirnya saya coba untuk menhubungi AKI SOLEH dan ALHAMDULILLAH beliau mau membantu saya untuk memberikan nomor,dan nomor yg diberikan AKI SOLEH meman betul2 terbukti tembus dan saya sangat bersyukur berkat bantuan AKI SOLEH kini saya bisa pulang ke INDONESIA untuk buka usaha sendiri,,munkin saya tidak bisa membalas budi baik AKI SOLEH sekali lagi makasih yaa AKI dan bagi teman2 yg menjadi TKW atau TKI seperti saya,bila butuh bantuan hubungi saja AKI SOLEH DI 082-313-336-747- insya ALLAH beliau akan membantu anda.Ini benar benar kisah nyata dari saya seorang TKI trimah kasih AKI wassalam. The magazine cover is not the man? Is there a libertarian case for Bernie Sanders? The most important book you haven't read?